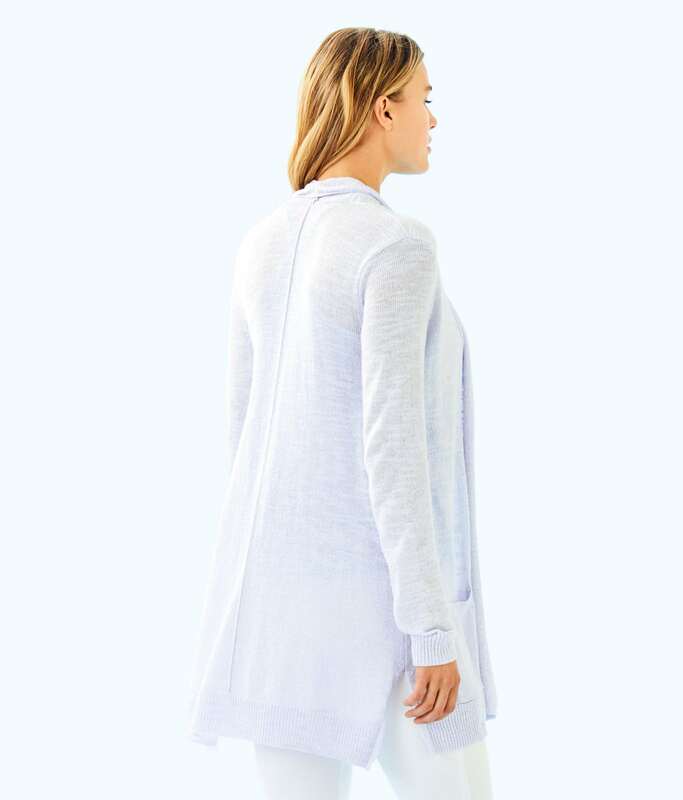 Long Sleeve Open Cardigan With Pockets And Side Splits. The Ariela Cardigan is the perfect throw on for Lilly lovers on the go. It is fabulous for cool evenings or walks on the beach at sunset.